At 65 years old, Iggy Pop is up there with the Rolling Stones and Bob Dylan as one of the oldest people in rock n’roll. This is probably a weird position to assume in any industry (“Shouldn’t you have retired by now?”), but it’s especially so in one primarily concerned with youth. That awkwardness is multiplied when you‘re known primarily for two things: 1) being the frontman of one of the first punk bands ever and 2) extreme rock star antics, including vomiting on-stage, rolling around in broken glass, doing copious amounts of drugs, and possibly being the first person to stage-dive… Ever. These are not the things that are necessarily conducive to old age, and yet Mr. Pop has come out of it remarkably well – he’s still good-looking enough to play shows shirtless and not look totally ridiculous doing it, he’s remarkably spry whenever he plays with the reformed Stooges, and his voice is still in rather good shape. And creatively, he’s probably done the best thing any aging rock star can do – he’s pulled out of the genre entirely and is now searching for new avenues of expression. This manifested in 2009’s Preliminaires, in which Iggy Pop decided that what he actually wanted to do was sing relaxed, jazzy French songs. 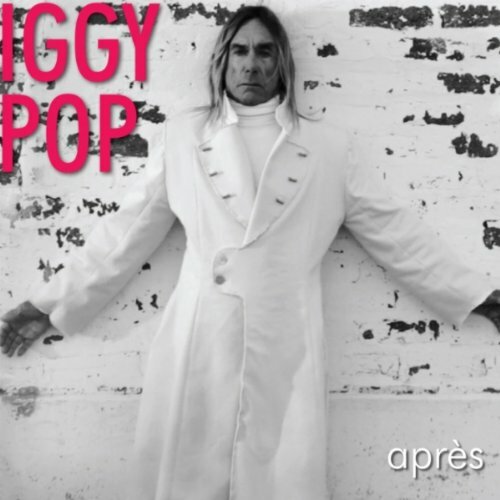 Considering that the album sold surprisingly well for such a weird concept, it’s strange that Iggy now finds himself releasing his newest album Apres, which is very much in the same vein, independently with no label support. First off: who the hell is in a position to tell Iggy Pop what he can and can’t do at this point? And secondly, this album is actually less bizarre than Preliminaires was; ignoring the fact that it’s immediately less surprising because he’s already done it once before, it also happens to be a covers album, and less than half of the songs are in French. Nope, instead we get crooning versions of American folk classics, The Beatles, jazz standards and….Yoko Ono. Okay yeah, and there’s also four French songs, but they’re pretty common and recognizable – “Le Vie en Rose”, anyone? So yes, refusing to release this album is pretty baffling on Virgin EMI’s part, especially because the album is quite good. It’s quirky and fun despite the fact that most of the songs have a pronounced brood to them, and Iggy’s crooner voice is surprisingly well-developed, a deep baritone that is both totally idiosyncratic and a welcome departure from his usual punkish drawl. The sound of the album has diminishing returns – most of the songs have the same general dark jazz feel, and it’s a really refreshing sound at first but gets less and less interesting as the album goes on. Still, Apres is the sound of Iggy Pop doing exactly what he wants to and the fact that he can make a 180 degree switch like this and still retain his characteristic swagger and conviction is a feat to be celebrated.